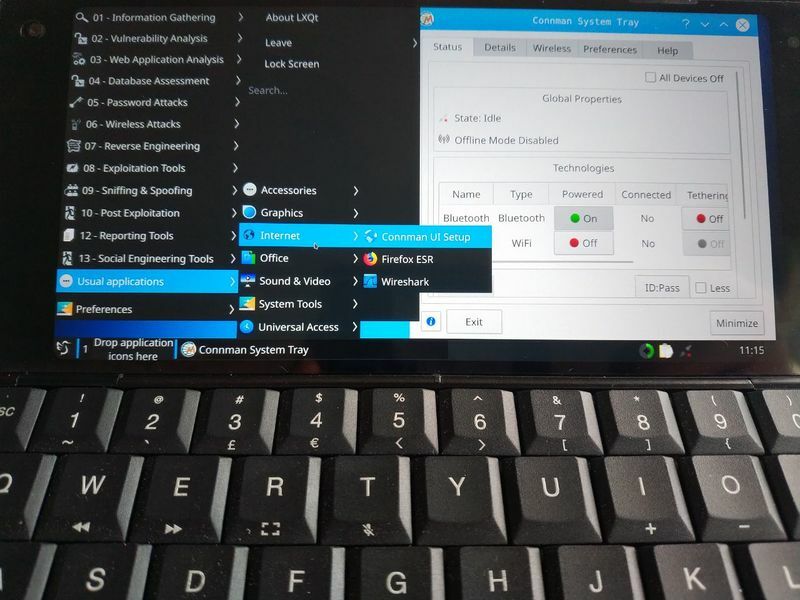 The Kali Linux community released a version of Kali Linux for Gemini PDA (see https://www.kali.org/news/kali-linux-for-the-gemini-pda/). We integrated this image in our Flash Partition tool to simplify the installation for some users. For installation instruction, see Linux Flashing Guide. This page provides information about running Kali Linux on your Gemini. The default user name is 'root' and the password is 'toor'.